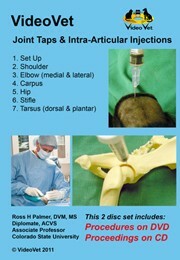 This DVD is a ‘must have’ for any veterinary practice that uses or wishes to use ESF for fracture treatment. If you’ve taken an ESF Course but could use a ‘refresher’, this DVD is what you are looking for! 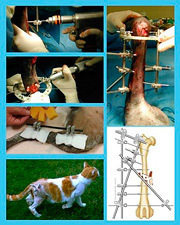 Video footage includes use of the IMEX SK fixator to treat fractures of the tibia, radius, humerus, and femur. Bonus video footage covers proper assembly of the IMEX SK clamp and step-by-step demonstration of ESF Bandaging and postoperative care.